The Digital Service Standard came into force in April 2014. It exists to help government build and run effective, user-focused digital services. All public-facing transactional services must meet the Digital Service Standard, and there have been hundreds of assessments against it since it was introduced. We last updated the Standard in 2015, when we reduced its 26 points to the 18 we have now. Since then, things have moved on. As the name suggests, the current Digital Service Standard focuses on transactional digital services – the interactive digital parts of the service. It doesn’t look at other elements of the end-to-end service. But the way government thinks about services is changing. We’re moving from looking at isolated transactions to looking at whole, end-to-end services. Services as users understand them. Such as learning to drive, or starting a business. This is highlighted by a commitment in the Government Transformation Strategy to design and deliver joined-up services. Government needs a standard that will support and encourage this next phase of work. 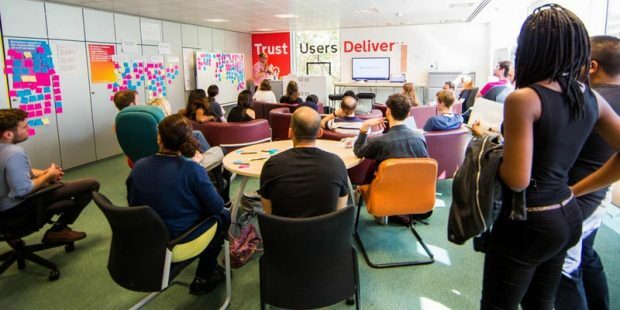 We’ve spoken to people inside and outside GDS, including the cross-government service assessors network. Based on those conversations, we’ve developed some ideas on how to take the standard forward. Now we want to do some wider consultation with people involved in delivering government services. We’re looking at how a revised standard could help encourage service teams to bring operational colleagues into their decision-making. So there are more opportunities for caseworkers, call centre staff and other operational specialists to use their knowledge and expertise to help shape services. We want to make it clear that everything the user interacts with is part of the service – the content on GOV.UK as well as the transactional part of the service. And we’re looking at how we can make transforming back-end technology and processes part of the picture. To do this, we want to make solving the right problem and getting the parameters or scope of your service right an explicit part of the standard. To reflect this approach, we plan to change the the name of the standard: from the ‘Digital Service Standard’ to the ‘Government Service Standard’. Since the last version of the standard was published, government has introduced registers – authoritative data sets that can help form the infrastructure that underpins government services. Plus common components to help teams build services more efficiently, like GOV.UK Pay and GOV.UK Notify. We want the new version of the standard to make it clear when it’s appropriate to make use of registers, common platforms, components and patterns. And we want to put more emphasis on setting up your service so it’s as easy as possible to reconfigure, to meet changing user needs and adapt to new technologies. We’ll prioritise producing guidance and patterns to help service teams meet the new version of the standard. And we’ll make sure guidance is structured so they support good decision-making by service teams at all levels of experience. Legacy is a big challenge for many government services. Not just legacy technology: there’s a lot of legacy content on GOV.UK, for example. For service teams dealing with significant legacy problems, it may not make sense to transform everything at once. In some situations, an ‘archaeological’ approach might work better: uncovering and fixing the layers of complexity one at a time. Or if you can’t make it, join the email discussion group. We’ll be sharing our findings after the workshops. Will there be any virtual workshops or are the three above only face-to-face meetings? Can you share the draft standard online? Yes, that's the plan. Initially, we'll share the outcome of the workshops. But we'll share a draft of the revised standard once we've had a chance to process all the feedback and put something together.